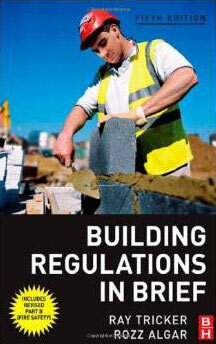 Building Regulations Approved Document G deals with the water supply and flow within a property. It states that the cold water supply must be wholesome for drinking purposes, where drinking water is supplied and also that wholesome water should be supplied for washing to any sink or bidet. It also states that wholesome water should be used efficiently and not wasted and that the daily usage per person is limited to a set amount of 125 litres per day. Hot water systems should also supply hot, wholesome water to locations where supplied e.g. sinks etc... and also that the hot water system itself is designed and installed in such a manner that it is safe to use. Suitable sanitary appliances should also be located within a property within either a bathroom or its own specific area and also that a sink should be supplied in areas where food is prepared. The UK building regulations are in place to ensure that any construction, whether it’s new build or home improvement works, domestic or commercial, is undertaken and completed safely and in such a manner that all amenities and features of the building work as they should and in the way intended. Approved Document G is no exception to this. The document also states that where a toilet or other flushing device is in place then the water that supplies it should be of a suitable quality to enable waste removal. It also has to be ensured that the flow rate of the water and its pressure is enough to enable any sanitary items to operate correctly. In respect to the actual supply of water to a property, it needs to be ensured that it is supplied to the property through a licenced supplier or via a source that complies to the rules set out under the Private Water Supplies Regulations 2009 (UK). This makes sure that the supply is delivered to a property using a licenced source that conforms with any regulations they are bound to. During its journey to a given property and then within the property to an outlet e.g. tap, bidet, toilet etc….. it must be ensured that there is no possibility that the water could become contaminated in any way that would make it unsafe for the purpose intended e.g. for drinking. We also need to explain a little about "softened water". In some areas of the UK water can be harder than in others e.g. there is more of a concentration of Limestone and other minerals. If after having your water softened it still falls within the guidelines of qualifying as wholesome water it can be used for both sanitary devices and also sinks and taps etc…. If levels of Sodium are such that it no longer qualifies as wholesome, it is considered to be wholesome softened water and cannot be used where drinking water is drawn or where food is prepared. When it comes to mains supplied water sources, as mentioned, there are strict rules and guidelines on how this water is delivered to a property and also how it is treated and these rules will still apply to alternative water sources to make sure that the water is actually safe to use. For more information on water treatment and storage systems of this type please refer to Approved Document G, section G1. This document can be downloaded on the link at the top of this page. This part of the document covers the way in which water is used within a building or property, particularly in terms of how efficiently it is used. The guidelines state that all fittings and any fixed appliances within a given building or property should use water efficiently and avoid any excessive use. When looking at usage on a "per person" basis, these are subject to regulation 17K and part 1 states any given person should not consume over 125 litres of water per day (both cold and hot water systems). This figure is calculated using the "The Water Efficiency Calculator for New Dwellings"
Part 2 of regulation 17K states that the above rules apply to any dwelling that has been erected or has been created through a material change of use of an existing structure. When regulation 17K is applied to a property, whoever is carrying out the work is responsible for notifying the relevant local authority the use of wholesome water is very likely and they must also provide the calculated amount that will be used per person per day. This notice must be supplied within 5 days of completion. Any alternative water sources such as greywater reclamation or rainwater harvesting are also taken into consideration. 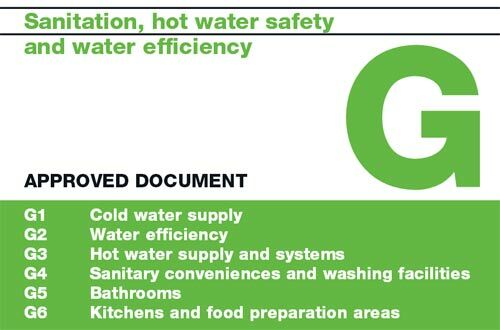 In respect to any alternate water sources and appliances that are installed within the completed building, a list or record should be supplied to the owner so that they know what they have. The record should also detail anything that the owner needs to know about maintenance so all water usage efficiency levels can be maintained. This section of Approved Document G deals with hot water system and the water supply to those systems. It is mainly concerned with usage in domestic dwellings and not industrial buildings. In respect to the design and installation of a hot water system, any such system that features a cistern or other storage item that either receives or supplies water must be fixed and supported adequately and also must feature any necessary safety device to resist the effects of pressure in the system and also the high temperatures associated with such a supply device. In terms of these safety devices they must ensure that any stored water does not exceed 100° in temperature and also any hot water that is discharged should be done so in a safe and obvious manner to any inhabitants of the building. There are set rules and guidelines that cover both direct and indirect hot water storage systems and both vented and unvented system. For full guidelines please refer to Approved Document G that can be downloaded on the link at the top of this page. The final point stated in this section is in place to ensure that any hot water that is supplied to a bath should not exceed 48°. This safety guideline is present to help reduce the risk of any burning or scalding that could occur whilst filling a bath. 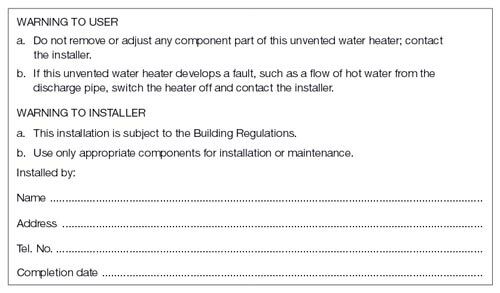 It also has to be noted that these guidelines do not apply to any system that heats or stores hot water for an industrial process and only applies to dwellings that have been erected or created through a material change of use. In this area of the document, the regulations state that where a room is provided to house items such as toilets (e.g. a bathroom) then they must be suitable for use. It also goes on to state that suitable hand washing amenities should also be provided within these areas or in an adjacent room if it’s not possible to include them in the same room. In terms of the above it is also stipulated that any such room containing sanitary conveniences or hand washing facilities must be separated from any area where food is prepared, such as a kitchen. In respect to the facilities themselves, they must be provided in such a way that all users of the dwelling or building, regardless of their gender, age or ability (Approved Document M also features here) can use them and that there is enough to provide coverage for all persons in the dwelling or building. What this means is that in a place of work there are suitable bathroom areas for both men and women and there are enough to cope with the volume of people in the building and any special needs users may have and in a dwelling, there must be at least one bathroom and hand washing facilities. In each case they should be separated by a door from the kitchen or food preparation area. This section is focused mainly towards houses and dwellings or buildings with at least one habitable room. There is only one stipulation outlined under this section and that is that a sink must be featured in all areas that food is prepared. This includes kitchens! It also states that if a dishwasher is located in another room e.g. a utility room then a sink does not need to be present in this room. In buildings other than dwellings where food is being prepared (where food hygiene regulations apply) then it may also be necessary to provide additional and separate hand washing facilities (this does not include those provided to meet point G4 stated above). All pipework should also conform with the rules stated Approved Document H for drainage and sanitary pipework. The building regulations themselves can be a bit of a nightmare to understand and if you are struggling to get to grips with the legal jargon then we recommend looking at the book below. As with all other approved documents, the above information is meant as a guide only to Approved Document G and before commencing any work you should always consult the official Approved Document G that can be downloaded from the Planning Portal website on the link at the top of this page.